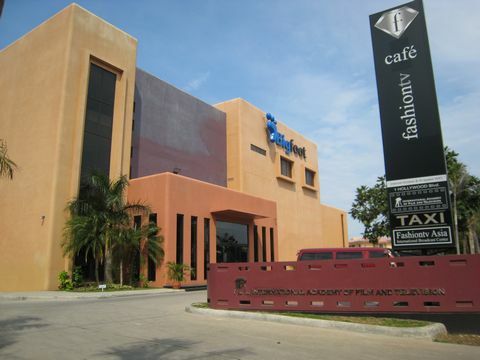 CELI Mactan Campus is located inside BIGFOOT which is film school so you can meet different nationalities. It's advantage for studying English. 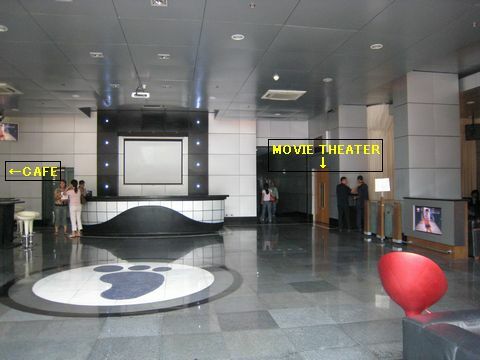 This is inside the building "Lobby" where you can have some coffe and cakes at the cafe, furthermore you can see movies in side the theater for free if you are students in CELI or Bigfoot. 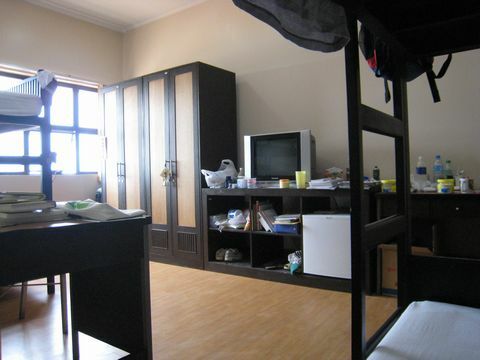 This is my room as a single room even though the room is for 4people, I booked this room as a single because I don't want disturb my roomate and also I don't want my roomate to disturb me especiall air-conditioner, TV and studying English. beds, 4 chairs, 4 tables and 4 closets. This is Cafeteria where we can dine every meals and you mostly have Korean food "KIMUCHI" which is terrific popular in Korea. It's too hot and sour. 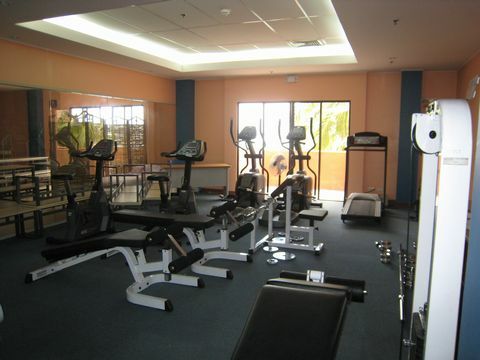 This is GYM where you can train, exericise your body. I would prefer you to use this place for your health, but you have to pay for it 1000pesos every month. You can view a sea from the balcony at the cafeteria, and also you can see a sunset. It'll makes you comfortable. Can you see the small cabin in this picture where you can enjoy drinking during night time. 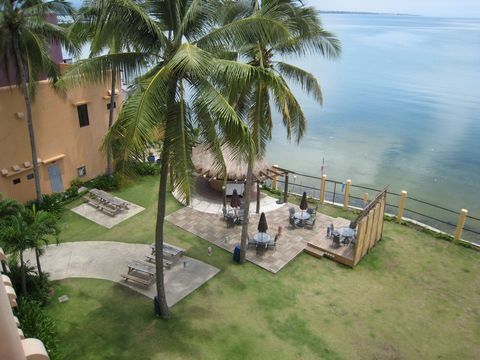 The name is "TiKi-BAR"
Backyard where you can play sports, have lunch, spend your time after studying English and also you're able to see the sea from this place. This room is used as a 1 on 1 classroom with local teacher, so you can enjoy talking, study English and learn a lot from them. 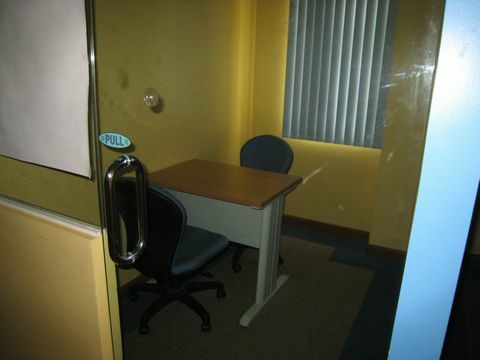 This room is 1 on 4 classroom which you'll have classmates during this time, so you can talk with another nationalities. You have a chance to make new friends. Of course, you'll have a 1 on 8 class with native teacher, so they give you correct pronunciation and daily conversation. There is ATM so you can withdraw your money safety because of location. Actually I experienced that my ATM card was stuck when I went to Bohol island. It's much better to have the sme experience here compared to another places. 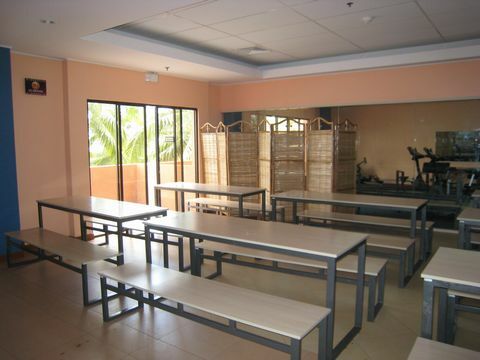 Comments : CELI Mactan has the best facilities compared to another school. I'm sure, you'll be satisfied because of it. 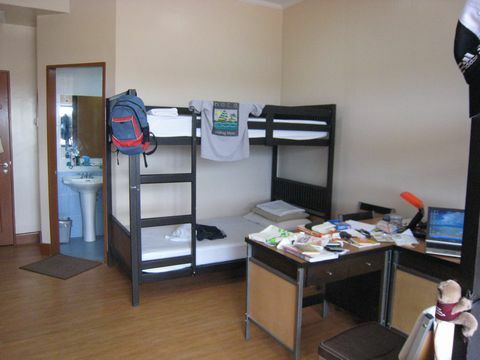 You can connect to the internet for free inside your room, Spacious room, to enjoy drinking at TiKi-BAR, and also you can see Ostrich inside the site. 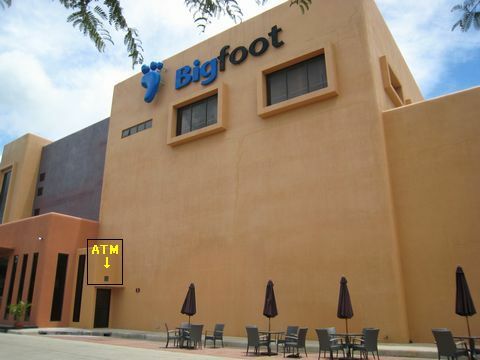 Advices : If you come here for studying English, you have a chance to meet, talk, and make frinds with BIGFOOT staff and students. It's really advantage for you to progress your English skill. Nice capture of pictures too! Thank you for giving your suggestions. I try my best to update my web-blog so if you notice some mistakes on my web-blog. Please inform me about my mistakes and better expressions. hi,there Nobu! My name is Cecille, I'm an ESL teacher.Im impressed of what I've read about this English academy. I'd like to know if you're hiring ESL teachers now? I'm interested to know how can I possibly send you my resume thru internet? do you accept applicants thru internet? I'm hoping you could reply to my inquiry and I'll be looking forward to that. Thank you for asking me something that you wanna be. Actually I'm not an agent of CELI , but if you wanna contact my previous school CELI Mactan. I'll give you some information about CELI if you like. I mean, I was a student of CELI before, I already graduated from CELI last Friday. Actually I'm a Japanese. Of course, I can help you to contact my previous school "CELI". I'll tell my previous staffs and teachers tomorrow. I have an appointment to meet them tomorrow night for dinner. I can tell them about your applicants at that time. I hope you'll have great time in your life. Pleae wait for my asking to them and I'll send you some message by e-mail. Hi! great web site you have about Cebu! i really miss Cebu now! thanks to your site i feel right at home!and i have pretty much eaten in most of this restaurants! please put more pics and stuff about Cebu! hehe. I'm glad to hear that from you. OK, I'll try my best to update some pictures about Cebu soon!! Thanks again to gave me your comment!! I've been here. I was invited to preview a movie that they were producing -- Irreversi. Wow you've been there!! That's great!! I used to drink with them at the backyard. We call that place "TiKi-Bar" where we can talk and drink during night-time. i am so proud of you!!! you have improved your English skills!!! My English is not so good hahaha. I mean I've been busy for studying about website how to make it and show it. Of course I try my best to progress my English skill when I have enough time to do that!! Thank you for commenting to my site again! I hope some of students will know Cebu is the best place to study and find something new through my precious experiences. By the way how's CELI going? Please give my best regards to other teachers, staff and students. Hello Nobu!! My name is Rey, Im a swimming instructor and an English teacher. I applied at CELI already and I will start there January 5, 2008. Are you still in Cebu City? Im hoping to have many foreign friends. Hope you will reply.. thnks. 2008? I think it's 2009. By the way, Congratulations!!! and I'm sorry that I already came back to Japan....but, I'm planning to go back to Cebu near future if possible. Actually I prefer to stay in Cebu than here...hahahaha. When I go there, I'll text you thanks. Hope you'll have great time as a Cleverlearn's teacher. Please give my best regards to Cleverlearn's staff and teacher. Googling "English Teachers+Cebu" brought up this site, Nobu. I'm interested in improving the English proficiency of The Best and the Brightest Philippinos here. Any suggestions? I did'nt know about it, the keyword brougt up my weblog on Google USA. I need to update another data about Cebu more and more, but I've been busy for doing my business now.. Anyway, I'll try my best to do it when I'm free. What is the best way to improve how to speak English fluently? I think it's not common to speak English here in Japan yet, so there're many people who can get a good score for the test, but they don't know how to speak English, even it's just a small conversation. I hope your positive response thanks. By the way please visit my weblog about Cebu in Japanese which is really famous than this weblog. i never thought landing in a japanese website after searching about cebu schools. i cant believed japanese people want to learn english after all the american did on japan and on how they bombards nagasaki and hiroshima. I think its because of globalization, i remember one time my late grandpa told me about how japanese people invade cebu. But anyway i love japanese people, cause almost all of you are so kind, and by the way im also from cebu. Til Here!!! and by the way nobu,, can you tell me what's the meaning of SENSIE, SAN KON or KUN? why is it theres a SAN and a KON every after a japanese name? actually im also learning japanese language niponggo because i always watch japanese anime especially naruto and its quite hard for me to understand even though i got an english version of naruto. but still i want to learn.!!!! Thank you for commenting to my weblog. I'm with you that Learning English is really important, it because of common language in the world. Even, it happened something bad in the past. I'm sorry that our ancestor invaded to your country. I hope your country and our country will be good partner forever. San means polite way to call(say, talk) other people(old people, friend) after their name like Mr, Ms and Mrs.
Kon=KUN means just like San, but it's different way to use. If I were older than someone who is men and boy, I always put Kun after their name. When we became a best friend, I don't use KUN after it. KUN is only for men and boy who are younger than you. I think it's too hard for you to understand our language"Japanese"
We choose to use Kun and San at the different situation. This is the first time I've seen an entry appreciating the beauty of Cebu - especially for a foreign student like you. I'm kinda tempted to try and teach in CELI. How long have you stayed in Cebu then? I have good Japanese friends too especially back in college, in the university where I studied. I'm a fresh graduate and the reason why I met many Japanese people because I took up Linguistics and many Japanese are taking up Linguistics too.. I hope your stay in Cebu was a fun-filled one and you have a good command of the English language now.. Good job! Good start! I'd like to have a direct link to your blog entries. Hope you can send me the link to that.. I did my best for learning English for 6 months then I roamed around Cebu for getting new information especially for Japanese who wanna know about Cebu. Japanese think Philippines is dangerous, it because of some bad news(media). Of couse not everywhere, right!? I met many Filipino who were kind, hospitable and people are friendly. That's why, I really enjoyed my time thanks to all my friends, teacher and people who live in Cebu. 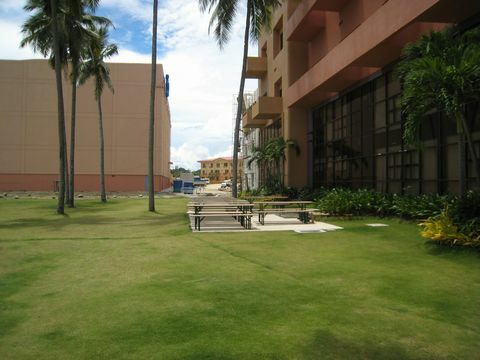 I hope Japanese people will like Cebu from my Japanese weblog. My Japanese weblog is all about Cebu and really famouse for someone who wanna konw about Cebu. By the way, if you wanna know about CELI(Cleverlearn), make an appointment with them by e-mail, calliing for asking something which you want. I'm already graduated from CELI, so I have no brand new information sorry. I hope you'll enjoy your time with all of your friends, family and your special. i'l try to get in touch with CELI then, maybe not now (i'm kinda busy..(^__^), but surely I will.. I guess you're right, i have a Japanese friend, he told me that almost all news in Japan about the Philippines are not good. But it's for them to find out anyway. I guess bad people are everywhere, right?.. I hope they'll try to visit to Cebu.. I hope also you'll be in Cebu real soon..
Good thing you're keeping the good track of your command in English though you're no longer in a place wherein you need to speak in English.. I'll visit your web log time to time..
Yup, bad people are everywhere, even Japan, Philippines, Korea and more in the world. Anyway, I hope you can contact with CELI smoothly. It'll be great soon for Japanese people. Nobu! wow,i never expect to come across your blog. I am looking for something about CELI and it brought me to your blog. pretty impressive and hey you're improving your English skill. good job! I miss our 1 on 4 class... yuta,mickey,you and who's the other one?oopss i forgot. :) enjoy life and keep speaking English. By the way, where are you right now?still in Vietnam? We enjoyed our class thanks to you!! Yuta, Mickey, me and Saori who sometimes absent our class hahaha. you remember that? Any way, I met some friends last Sunday who graduated from Celi. Yuta, Yoshi, Mamoru and me. We talked a lot about our precious time when we were there. Actually we're planning to visit there again hehehe. In my case it's for finding something new about Cebu. I'll visit many places for taking pictures for my website which you'll see to click my name on this comment. Everything in Japanese, so you can't read what I wrote, but you can see some pictures about Cebu, restaurants, beaches, hotel and my travel journey. After moving to my website, you can choose some category through different words with colored on green and blue which takes you to my travel journey, hotel's information, sightseeing spots and restaurants. By the way, I hope to seeing you again for chatting something about our daily conversation or learning English again. I must say, I really like your blog. I often recommend it to my Japanese students who have plans to visit Cebu since last year. It's really very useful for them. It also is a great ad for my beloved country and city. Thank you so much. Though, I hope you don't mind me adding, that if you happen to know any Japanese that would be interested to study English either face-to-face or online through the use of skype, please recommend me. I'm currently an online teacher to Japanese nationals. I'm a licensed teacher, too. Here's my contact num: +63-906-4394-877. Lastly, keep up the great job on this blog. Will be checking it out every now and then. My delight knowing your positive feedback regarding your former school CELI and a bit of information about you. I'm interested to apply as an English teacher. I hope you could help me submit my resume so I could extend my skills also. thank you and soar high. I'm a Bachelor graduate.I really love to teach especially the young children.I know how to handle multicultural classes. I am willing to to teach at your school if given a chance. 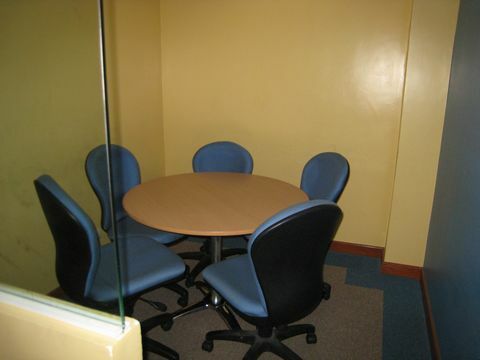 Cleverlearn, a fast-growing international school based in the Philippines with offices in various countries across the world. I really want to join a english course about my major which I am studying now in finance. But I don't know in Celi Philippine centre, will be have this course for me? next point, I need your help about universities in Phil, for example riteway programmes. Is it good? and how much money for all of this ? hi! I have a japanese friend who is interested to study there in cebu for english langusge, are you one of the english school there? if it's so pls send me your contact no. Thank you so much and god bless. Its Pleasure to understand your blog.The above articles is pretty <strong><a href="http://www.thecheapnorthfaceonsale.com">north face jackets on sale</a></strong> extraordinary, and I really enjoyed reading your blog and points that you expressed. I really like <strong><a href="http://www.2011cheapoakleys.org">cheap oakleys</a></strong> to appear back over a typical basis,post a lot more within the topic.Thanks for sharing. Strange this post is totaly <strong><a href="http://www.2011cheapoakleys.org">cheap oakley sunglasses</a></strong> unrelated to what I was searching google for, but it was listed on the first page. I guess your doing something right if Google likes you enough to put you on the <strong><a href="http://www.aucheapuggsboots.com">cheap ugg boots</a></strong> first page of a non related search. You certainly have some agreeable opinions and views. Your blog provides a fresh look at the subject. keep writing!!! Large fashion of <a href="http://www.scarveswholesaler.net/">wholesale scarves</a> are offered here. Fashion <a href="http://www.scarveswholesaler.net/">burberry scarves</a> is beauty favorite. Each people all want to have <a href="http://www.scarveswholesaler.net/">fashion scarves</a>. They have a lot of the <a href="http://www.scarveswholesaler.net/">scarves for women</a>. When you see the number of <a href="http://www.scarveswholesaler.net/">silk scarves</a> and <a href="http://www.scarveswholesaler.net/">winter scarves</a> cheap for surprise!!!!! it is so beautiful,i like it. I like what you wrote, very grateful for you sharing. your article wrote a good, i like it and thank you for sharing. expect you to have a better article to share. It's definitely a<a href="http://www.nikenfljerseysonline.net/"><strong>Nike NFL Jerseys</strong></a>late for this entry as <a href="http://www.burberryoutletsale-4u.com/"><strong>Burberry Outlet</strong></a> most of <a href="http://www.hotburberry-outlets.com/"><strong>Burberry Outlet</strong></a>folk and even <a href="http://www.burberryoutletsale-us.com/"><strong>Burberry Outlet</strong></a> Peninsular citizen, <a href="http://www.nikenfljerseysonline.net/"><strong>Wholesale Nike Nfl Jerseys</strong></a> for luxury labels for less <a href="http://www.burberryoutletsale-4u.com/"><strong>Burberry Sale</strong></a> am apparently in that category) <a href="http://www.hotburberry-outlets.com/"><strong>Burberry Sale</strong></a> outlet <a href="http://www.burberryoutletsale-us.com/"><strong>Burberry Sale</strong></a>about the opening of Johor Premium Outlets,<a href="http://www.nikenfljerseysonline.net/"><strong>NFL Jerseys Cheap</strong></a>to be the first in South East Asian country (yes, with the Prime Minister visit and all that brouhaha).<a href="http://www.burberryoutletsale-4u.com/"><strong>Burberry Outlet Online</strong></a> might still be wondering, the <a href="http://www.hotburberry-outlets.com/"><strong>Burberry Outlet Online</strong></a> is like the ones they have in Europe ( Bicester Village in England and La Vallee in Paris if I took a lazy analogy). <a href="http://www.burberryoutletsale-us.com/"><strong>Burberry Outlet Online</strong></a>concept the place boasts an outdoor shopping experience of discounted off-season items, be it apparel, accessories, luggage or even home furnishings.